What fun, what a POP of color for your unique designs. Imagine the possibilities! 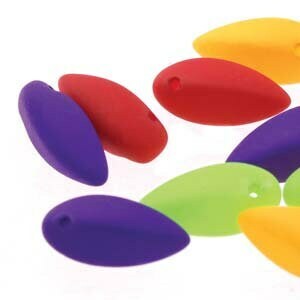 These beads feature a twist shape with a top drilled hole. On the same idea of a top drilled tear drop. 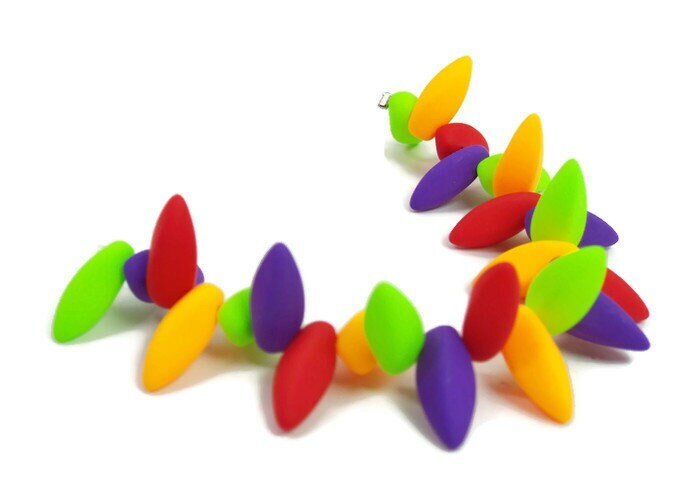 These are a bright NEON mix of fun colors. They are available by the strand and there are approximately 25 beads per strand.